To mark the publication of Philip Pullman’s highly-anticipated La Belle Sauvage on Thursday 19th October 2017, rediscover the world of His Dark Materials and the setting of the new The Book of Dust series with a walk around Philip Pullman’s Oxford. The two-hour walking tour visits key locations from Lyra’s Oxford, including the Bodleian Library, the Covered Market, Exeter College, the Pitt Rivers Museum and the Botanic Garden. It will provide a fascinating insight into the stories and places that inspired the world-renowned books, and fans will be given a map which will help them navigate Lyra’s parallel universe as they walk the historic streets. The first tour will start on Thursday 19th October, to coincide with the publication of La Belle Sauvage, and will be led by a professionally trained green badge tour guide. Bodleian Library: Bodley’s Library features prominently in His Dark Materials and also features in the new book, La Belle Sauvage. The Covered Market: the market is a favourite haunt for Lyra and friends in Northern Lights. Exeter College: Exeter College was Philip Pullman’s college at Oxford, and is the inspiration for Jordan College, where Lyra grows up. She climbs out of an attic window there in Northern Lights. Pitt Rivers Museum: Lyra and Will find skulls here with holes in them in The Subtle Knife. Botanic Gardens: In The Amber Spyglass, Lyra and Will promise to sit on the bench at the back of the Botanic Gardens for an hour at noon on Midsummer’s Day every year, so that they may feel each other’s presence next to one another in their own worlds. Godstow Abbey: an abbey where the nuns look after the baby Lyra in La Belle Sauvage (you can read an extract from La Belle Sauvage on the Guardian website here). Jericho: where Gyptians board boats in Northern Lights. It is also where a main character lives in La Belle Sauvage and where some of the action takes place. The Trout Inn, Wolvercote: this real pub is where Malcolm lives with his parents, the landlords, in La Belle Sauvage. Port Meadow: in Northern Lights, this is the site of the Horse Fair where the disappearance of a young boy ‘from a gyptian family she knew’ helps to trigger Lyra’s adventures. It’s referenced in the other His Dark Materials books and in La Belle Sauvage. 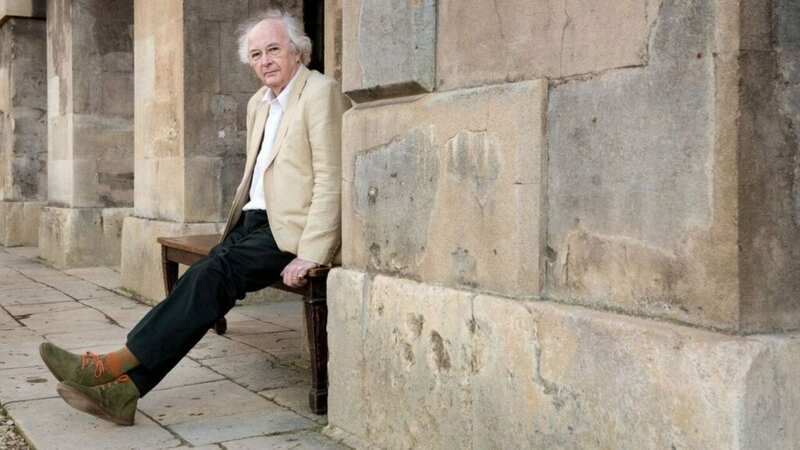 The Philip Pullman’s Oxford walking tour will run every Saturday at 13.45. Tickets cost £20 for adults, £19 for Seniors and £16 for Children aged 5 to 15. Children under 5 are free. Oxford Official Walking Tours are provided in partnership with Experience Oxfordshire. Departing daily from the Visitor Information Centre on Broad Street, each tour is run by a professionally trained and qualified guide who holds a Blue or Green Badge awarded by the Institute of Tourist Guiding, the national professional body. Additionally, each guide is a member of the Oxford Guild of Tour Guides. Tickets can either be booked online, by phone or directly at the Tourist Information Centre. La Belle Sauvage: The Book of Dust Volume One by Philip Pullman will be published on Thursday 19th October 2017 by David Fickling Books in association with Penguin Random House in the UK, and Random House Children’s in US. The book will be available in hardback, ebook and audiobook (narrated by Michael Sheen) priced £20. Philip Pullman was born in Norwich, UK, in 1946 and educated in England, Zimbabwe, Australia and Wales. He studied English at Exeter College, Oxford. After graduating, Pullman went into teaching, at various Oxford Middle Schools before moving to Westminster College in 1986 for eight years. He retains a passionate interest in education. His first children’s book, Count Karlstein, was published in 1982 (later republished in 2002). It was followed by The Ruby in the Smoke (1986), the first in a quartet of books featuring the young Victorian adventurer, Sally Lockhart. He also published a number of shorter stories, which he calls fairytales, including The Firework-Maker’s Daughter, Clockwork, I Was a Rat! and The Scarecrow and His Servant. To date, he has published 33 books, read by children and adults alike. His most famous work is the His Dark Materials trilogy: Northern Lights (1995 – published as The Golden Compass in the USA); The Subtle Knife (1997) and The Amber Spyglass (2000). These books have been honoured by several prizes, including the Carnegie Medal, the Guardian Children’s Book Award, and (for The Amber Spyglass) the Whitbread Book of the Year Award – the first time in the history of that prize that it was given to a children’s book. Pullman has received numerous other awards, including: the 2002 Eleanor Farjeon Award for children’s literature and the 2005 Astrid Lindgren Award, jointly with the Japanese illustrator Ryoji Arai. Philip Pullman lives in Oxford. Further information can be found at www.philip-pullman.com.